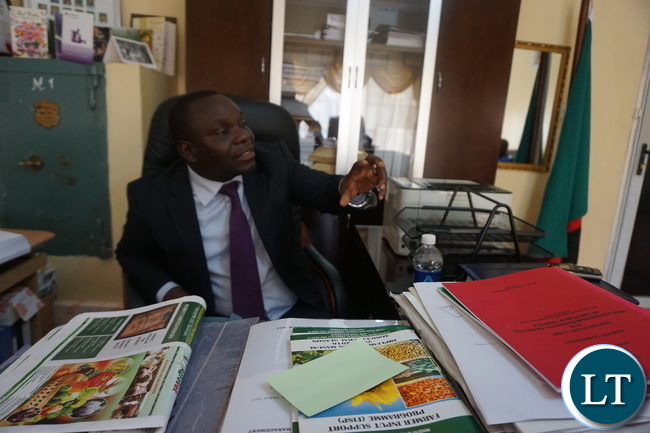 Copperbelt Permanent Secretary, Bright Nundwe says government wants to see the genuine manner investors in the mining sector on the Copperbelt are doing their business. Mr. Nundwe said government is not after frustrating investors in the province but would want to ensure that local people are benefiting from the mine investment by doing business with the investors. The PS stated that the business environment in the mining industry was not favouring the local suppliers and contractors on the Copperbelt hence the urgent need to create a win-win situation to both parties. Mr. Nundwe said this when he met Copperbelt mine suppliers, contractors and transporters in Ndola. “The meeting is anchored on the operations of the local suppliers and contractors in the province, we want to see the way the mines are doing business with you, we have laws to deal with concerns raised,” Mr. Nundwe said. Mr. Nundwe further said the position of government on the matter is that it wants to empower local people through venturing in business opportunities created by the investment in the mining sector. He added that President Edgar Lungu has the welfare of the people at heart hence does not take pleasure in seeing them in poverty when a province such as Copperbelt has potential to reduce high unemployment levels. And Provincial Minister, Bowman Lusambo said his office has called for a meeting this week on Wednesday with all investors operating mines on the Copperbelt where he has also invited Permanent Secretaries from the Ministries of Labour, Mines, Commerce and Industry to find a lasting solution to the concerns by suppliers and contractors. The Association of Mine Suppliers and Contractors (AMSC) have complained that the business environment on the Copperbelt regarding the mining sector is hostile and has pushed them out of business. AMSC President, Augustine Mubanga said local suppliers and contractors are facing challenges in registering businesses with the mining firms because most mining companies have their offices outside the country. “The other issue of payment system is causing business stress on the local contractors and suppliers which is taking as long as six weeks a situation not ideal for the local people,” he complained. These guys like to regurgitate stuff. Talk is cheap! They have international organizations abusing Zambians but never do a thing out of fear. The Chinese are the worst when it comes to human rights violations, yet they seem to run Zambia. What kind of trade deals do we have with China? If anything, China wants tariff-free access to Zambia for its exports and the freedom for its companies, many of which are state-owned, to invest where they will, and what is happening in Zambia. Zambia must insist on a deal that would include gender, labour and environmental rights and hold the Chinese accountable for breaching a contract. China (dictatorship) will insist its firms operating be allowed to import temporary Chinese workers! Zambia must impose labour rights. Zambian suppliers and buyers must start being honest. Mining companies opt to source from outside the country because they are being overcharged by Zambians, buyers and contractors who later share the money. If Nundwe is serious he should make an incognito visit to any mine, like he wants to register a company and he will how corrupt these supply dept staff are. Better still go back to KK’s by finding out the source of certain people’s wealth.